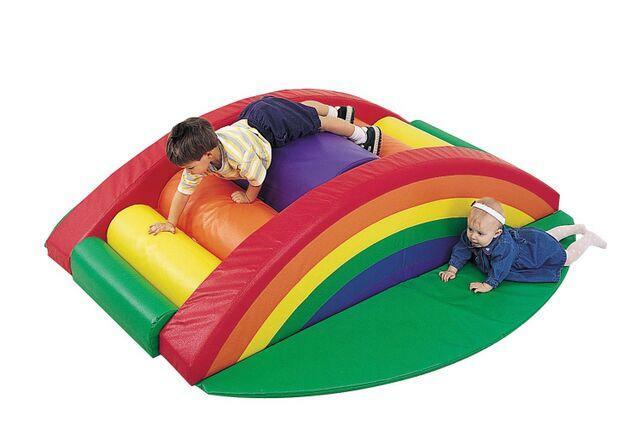 Climb over a rainbow of activity with varying heights. Nine separate soft shapes hook & loop together in a roller coaster of safe play. This set encourages kids to safely climb crawl and balance in a soft and stable environment. Climber encourages social interaction color recognition and gross-motor skills. Dimensions: 71" x 40" x 18"